Product information "Zomo Earpad Set VELOUR for Sennheiser HD 25"
The replacement pad set made of velour is available in many fashionable colours and fits the headphones Sennheiser HD25, HD25-13, HD25 SP, HMD25, HME25, HMEC25 and AKG K518. 2 x ear pads and 2 x head pads (self-adhesive) can be mounted in a few moments. With this earpad set you can give your headphones an individual touch and make them look like new again very quickly after a little more use. 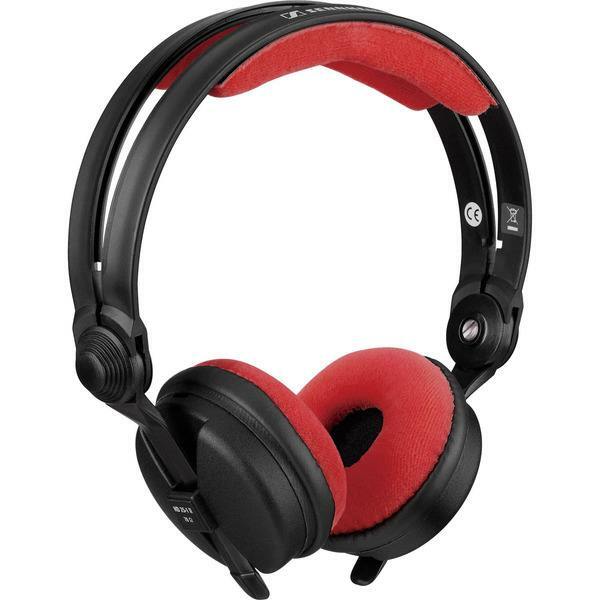 In addition, you can be sure that your professional Sennheiser DJ headphones will retain their value and look perfect. Velour cushions are very comfortable to wear, even if it gets a little hotter and the "normal" cushions drip with sweat. ** The headphones shown or mentioned are not included. They are available separately in our shop. Customer ratings for "Zomo Earpad Set VELOUR for Sennheiser HD 25"
polster sind sehr bequem. montage dauert paar minuten, geht aber einfach. passform ideal. Gute Verarbeitung und bequem auf den Ohren! Merci à vous ! Danke !